Single whiskey bottles, both with original tax seal attached. Bottle is empty with no chips, cracks or hairlines. 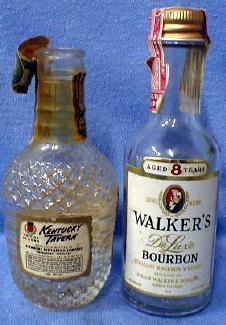 Items Similar To "Vintage KENTUCKY TAVERN Glass Bottle"